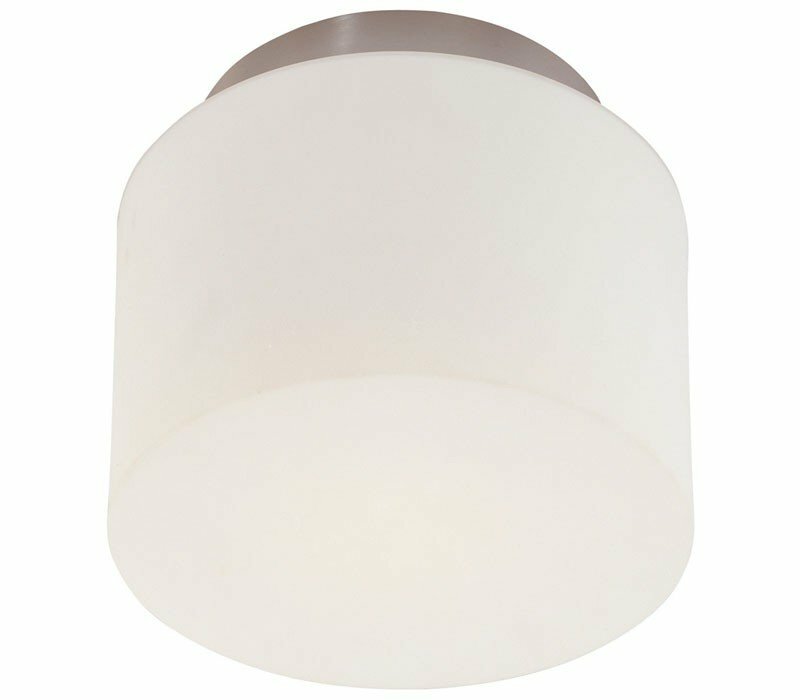 Drum 8" Surface Mount features a perfect drum shaped white etched glass that is offset below a ceiling mounted surface band, forming a crisply modern and elegantly simple geometric fixture. This petite and understated design creates a far-reaching wash of light in modern interiors. The Sonneman 4157.13 Drum collection Close to Ceiling Lighting in Satin Nickel uses Incandescent light output and brings Modern style. This item is 6.5"H x 8"W. The wattage is 60. The Sonneman 4157.13 requires 1 bulb (not included). Additional Information: Shade-Etched Cased Glass.